Over the last year, our playground has been transformed into a rich learning environment. 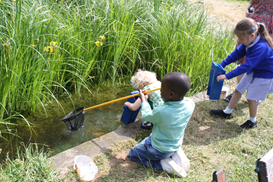 We have a pond full of interesting wild life, which has been identified and recorded by our Year 4 children. An amphitheatre with Greek style rocks, is the perfect place for poetry recitation, talks and drama. 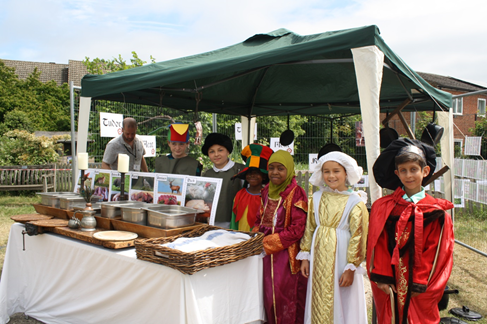 With a range of different habitats for minibeasts, film makers have many back drops to choose from. All of this was taken full advantage during 'Outdoor Classroom Day'. 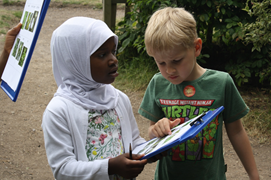 Science, Maths, Literacy, History and PE were just some of the lessons held out in the fresh air, within the wild life of our school grounds.